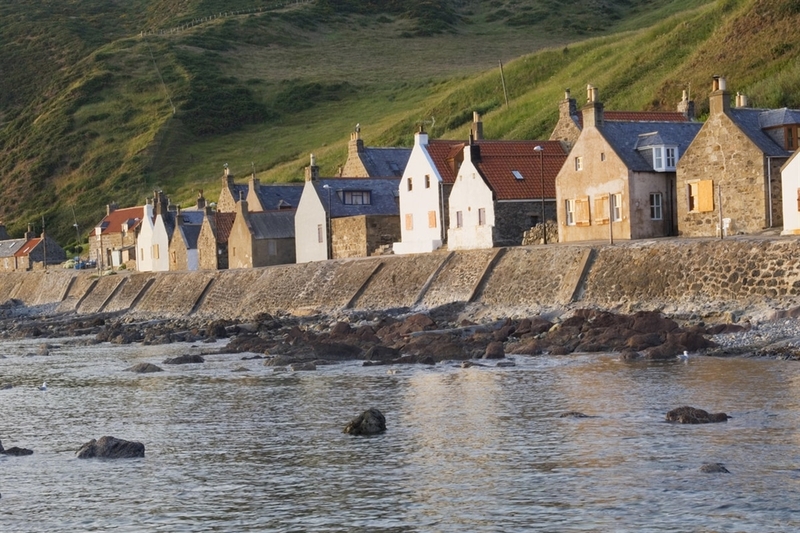 These three villages lie on the attractive north coast of Aberdeenshire between Fraserburgh and Macduff. 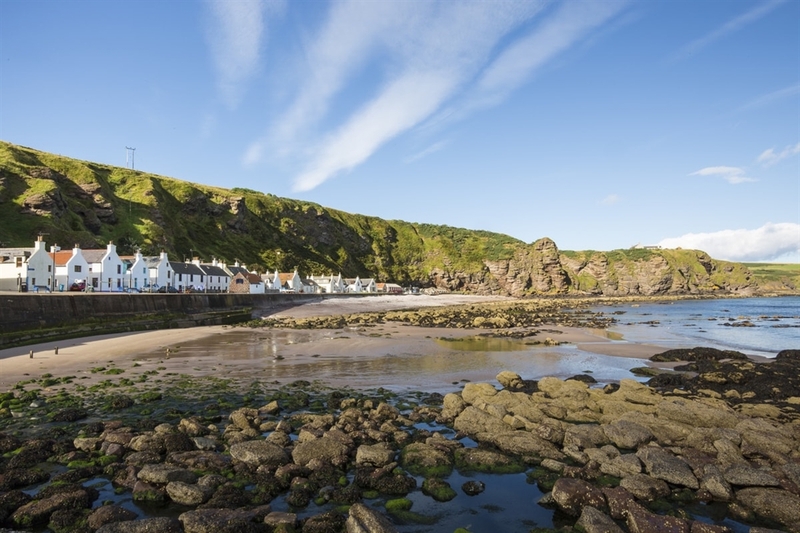 These three villages lie on the attractive north coast of Aberdeenshire between Fraserburgh and Macduff, where you can discover pretty churches and cottages, ruined castles, clifftop walks and lonely beaches. 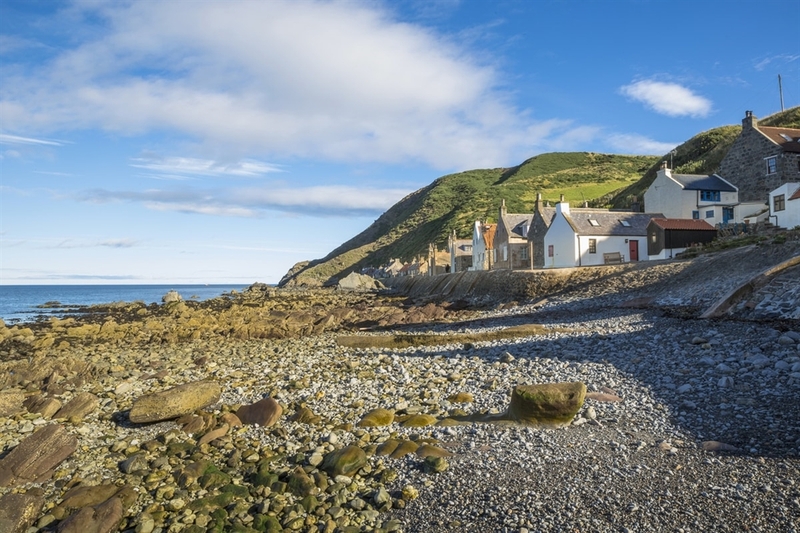 The tiny village of Crovie (pronounced 'crivie'), whose residents frequently have their doorsteps washed by the sea, is just as appealing. Tucked against the steep cliffs, its so narrow that its residents have to park at one end of the village and continue to their houses on foot. 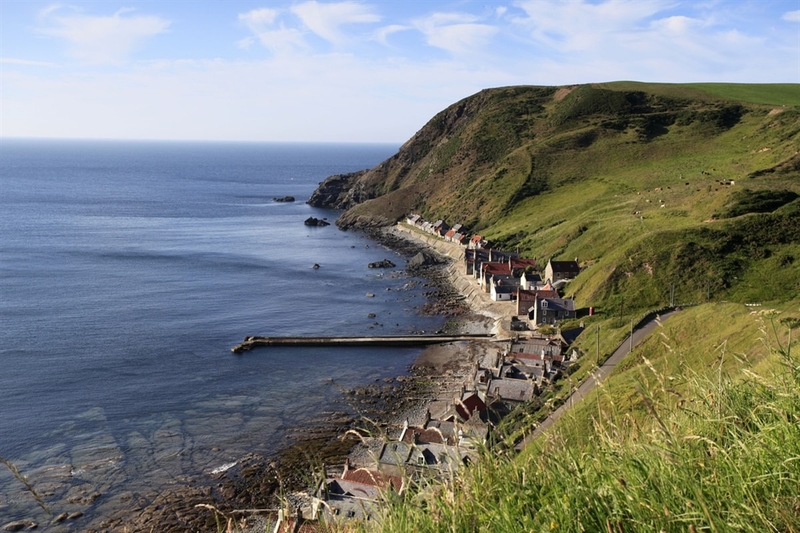 Gardenstown is another cliff-side village on the other side of Troup Head from Pennan, housing a mix of permanent residents, holiday homes and self-catering cottages. Most of the original residents and fishermen's families now live in the newer part of the village at the top of the hill. The village has good facilities such as a pub by the harbour, and sights such as a nice beach, an 11th century chapel nearby and a footpath along the cliffs to Crathie. The harbour itself is well maintained with recent pontoons and around 80 boats berthed there during the summer. 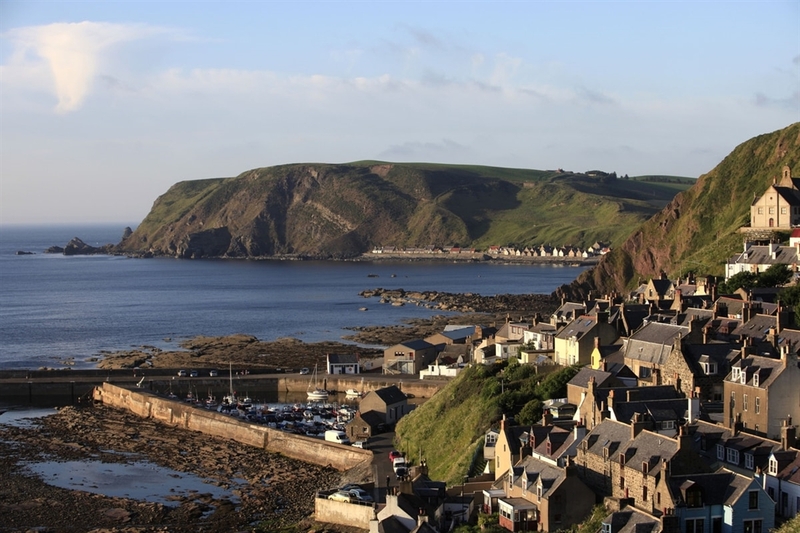 It is a good centre for exploring the area, and a local bus service provides links to Macduff and Banff.